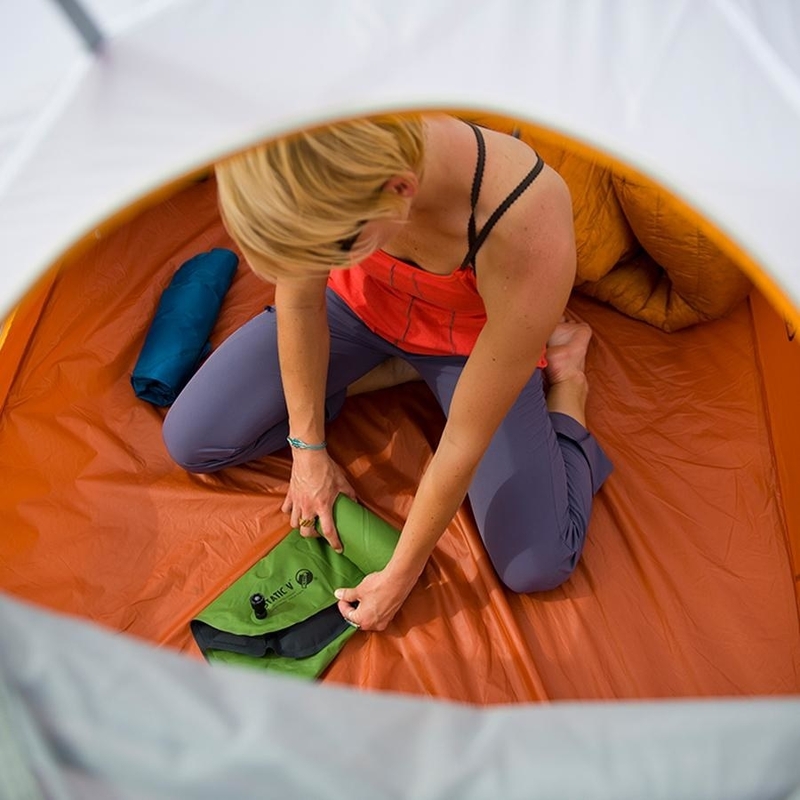 The perfect excuse to get out and camp = buying cool new gear. 1. 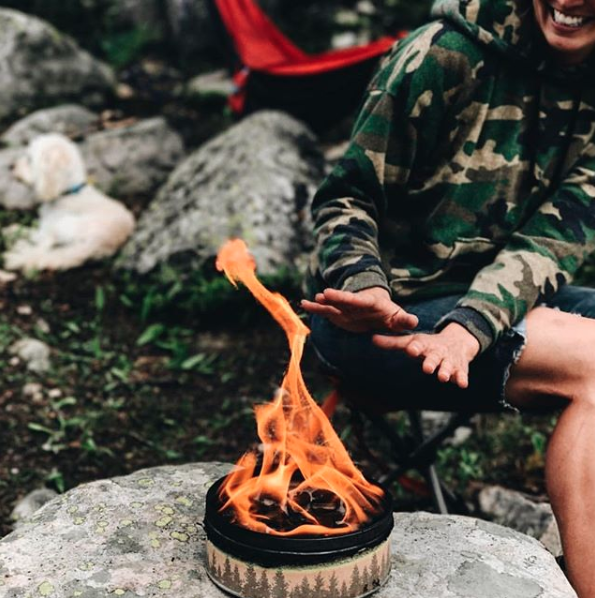 A waterproof, wind-proof portable campfire that keeps bugs at bay, makes very little smoke and soot and no embers at all, and burns for up to five hours. Once you light it, it'll stay lit with no maintenance — until you're ready to put it out, of course, by snuffing it with the tin's lid. Get it on Amazon for $29.99 (also available without the bug-repelling oils). 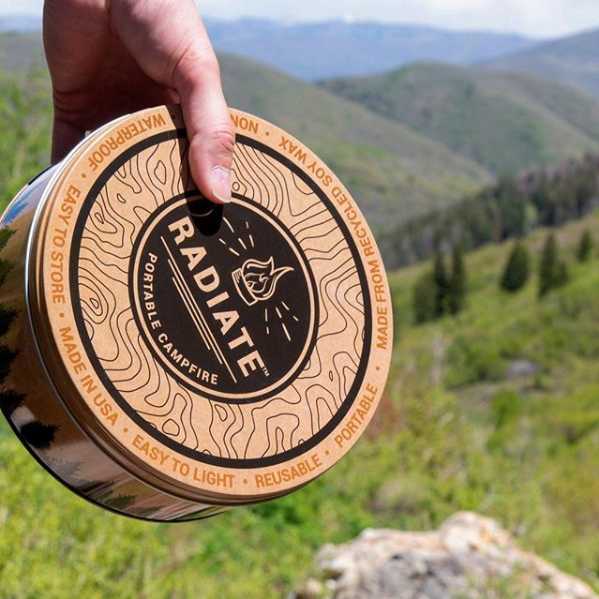 Or save (a little bit) by getting multipacks directly from Radiate — you get 10% off for two (so, $54.99), 15% off for four ($95) and 20% off for eight ($179). 2. 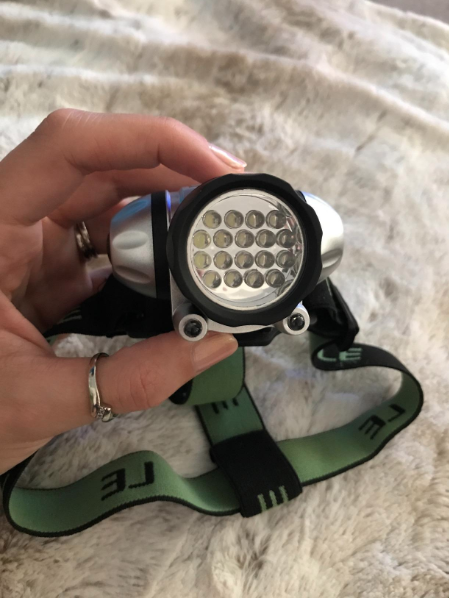 A bright LED headlamp to light your path whether you're setting up your tent after dark, reading a little before tucking into your sleeping bag, or navigating your way to the campsite's bathrooms. It has four different modes: three levels of white light brightness, plus two flashing red lights (so you could jog with it before sunrise and still be seen by cars). 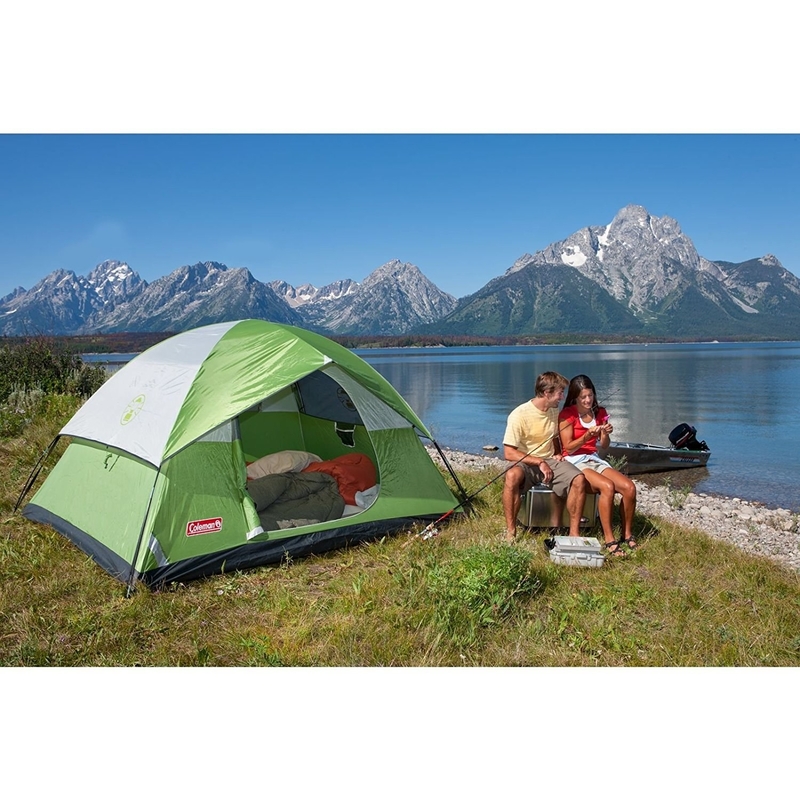 Promising review: "I used this last summer on a camping trip and it really came in handy! We were at a campground and among its many other uses, this was helpful even in walking to the toilets. I actually used it in the shower stall too, because the lighting in there was really poor and there were things in there I did not want to touch. 3. 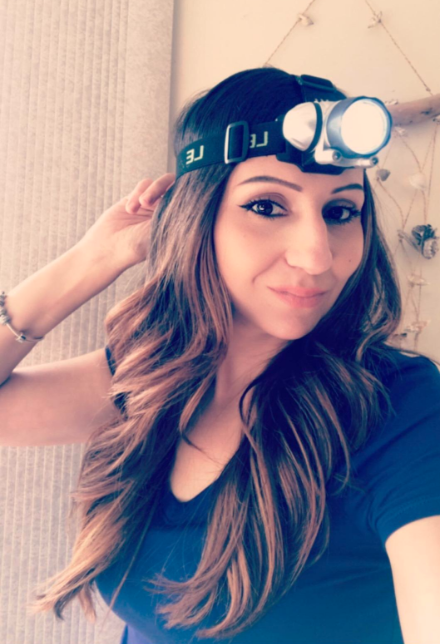 And a hand-held flashlight that converts to a camping lantern to hang from the ceiling of your tent, so you can stay up chatting even after the fire's burned out. 4. 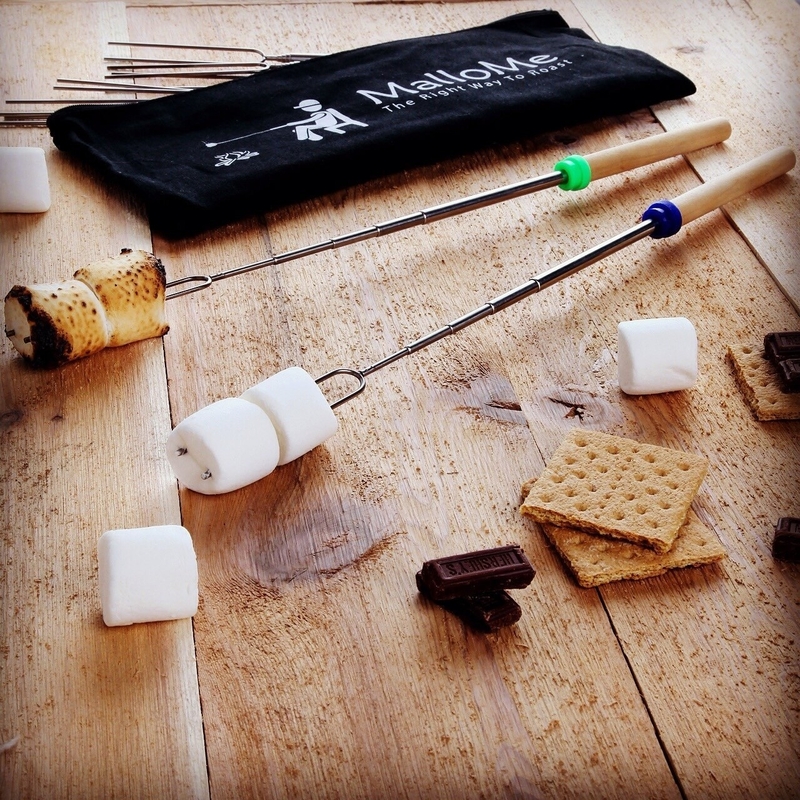 A set of eight marshmallow roasting sticks — they telescope out to 32 inches for campfire time then collapse to 13 inches to store neatly away. Promising review: "I grew up hunting down my own marshmallow stick and carefully pointing it with my dad's pocket knife. 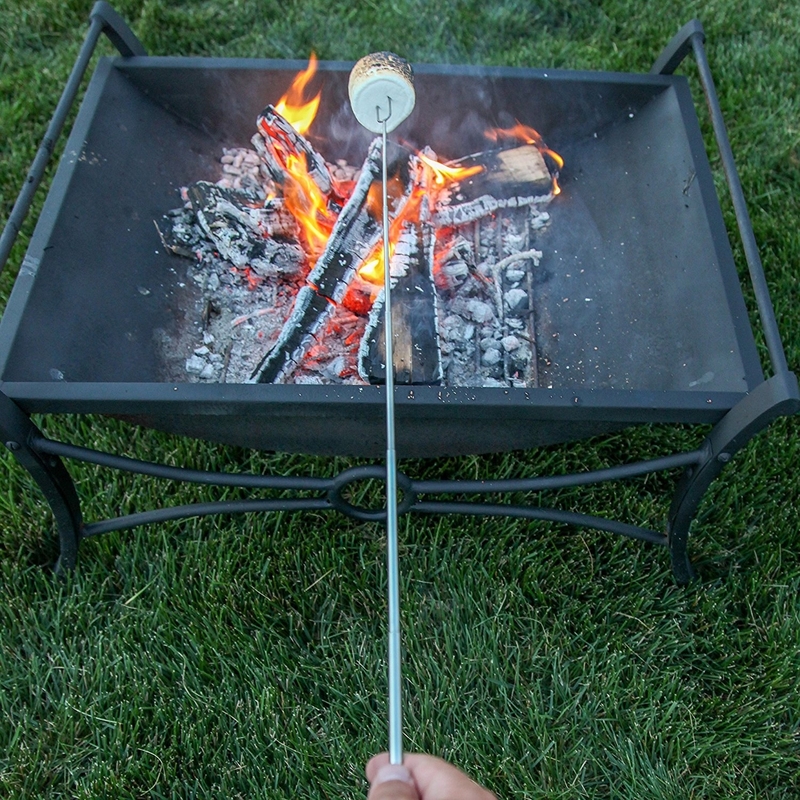 Sometimes I found the perfect stick, but mostly, they were curved and required contortions to cook a marshmallow evenly without setting it on fire. Another recent phenomenon is campsites that have been picked over, with no sticks left. We had a 12th birthday campout party for my son and marshmallow roasting was going to be a central part of the evening's activities — we wanted to avoid the problem of no decent sticks, so we picked up a set of these sticks before the trip. Get them on Amazon for $18.99. 5. A top-rated oversize collapsible camp chair that comes complete with a four-can cooler pouch on one side and storage pockets on the other, so you can rough it comfortably. 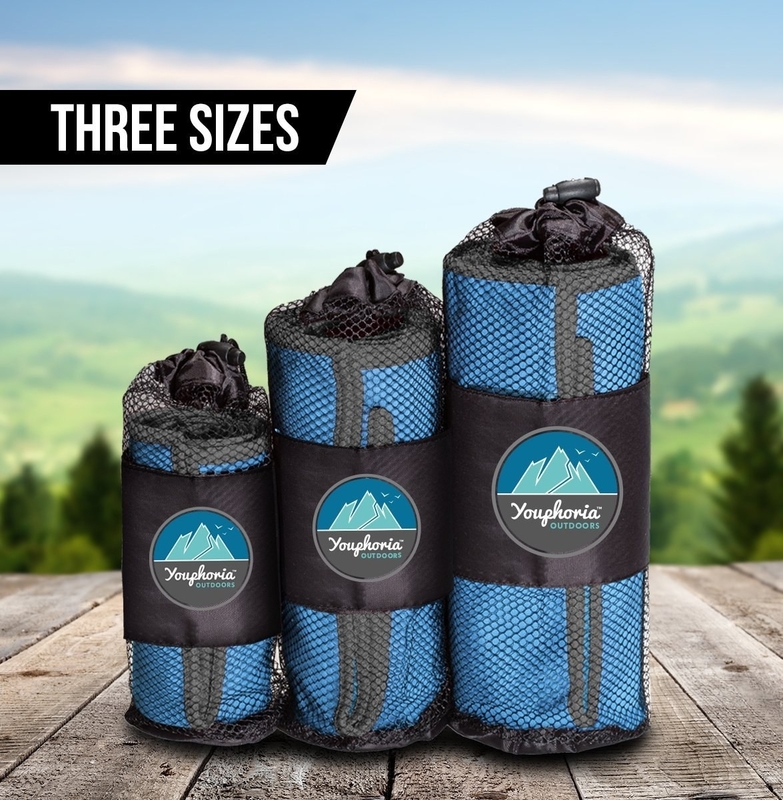 Best for only those trips where you can drive into your campsite, of course — while it does come with a carrying bag, you're not gonna want to tote its eight pounds much further than a few yards. Get it on Amazon for $29.89 (two colors). 6. A waterproof backpack cover for keeping all the contents of your pack safe and dry, no matter what kind of weather Mother Nature throws your way. 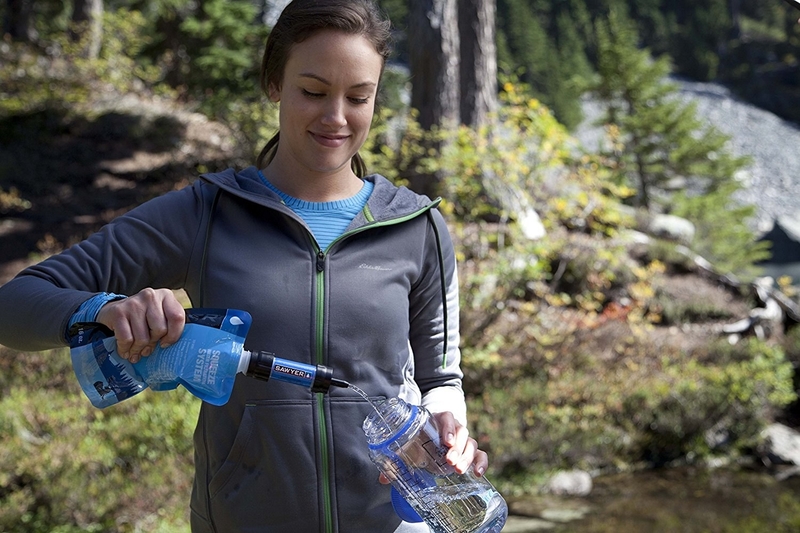 For those trips where you're hiking out to your campsite, of course. Get it on Amazon for $7.99+ (four sizes, six colors). 7. 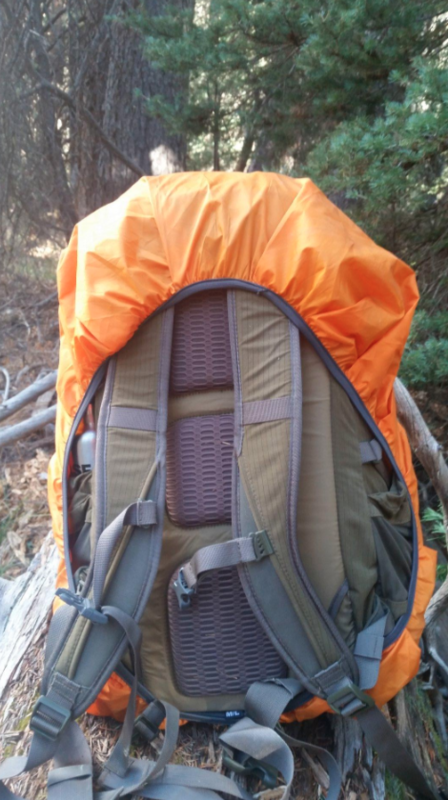 Or a backpack that includes a waterproof cover in a dedicated pocket, if you're just starting to build your collection and don't want to use your high school pack anymore. Promising review: "Okay so you're going camping for a few days, maybe do a bit of hiking. Well if you need something comfortable, a bit roomy and pretty good quality for that trip let me recommend this pack. 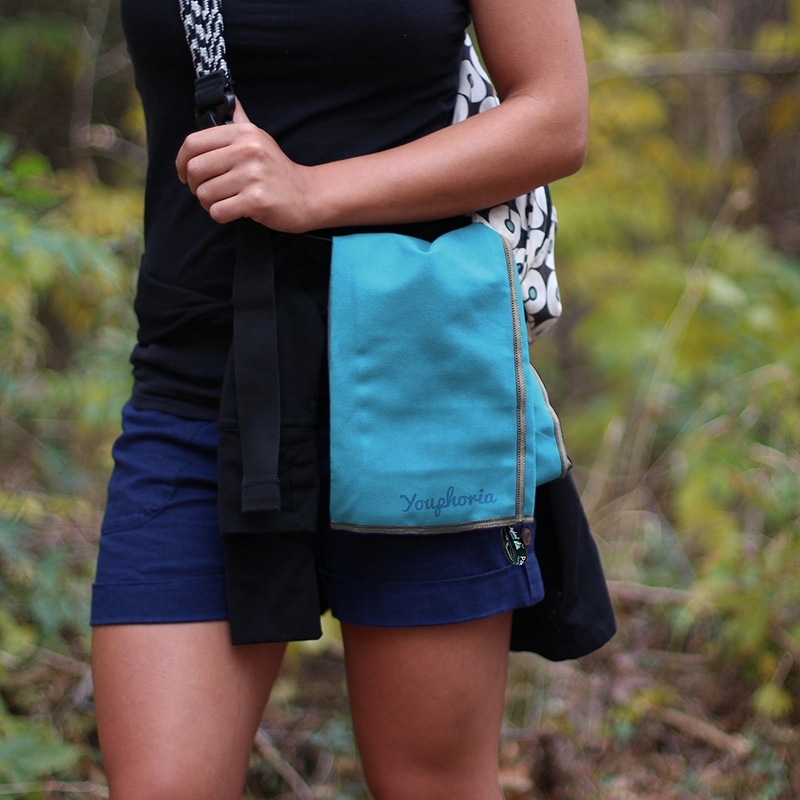 I am a woman and finding something that sits well on my back without rubbing in the wrong places can be trying at times, but this pack sits well on my small frame. And it can hold a lot of stuff in a very organized manner, so you can find it without having to unpack everything. The straps are very comfortable and even with the added weight of your gear don't cut into you. Get it on Amazon for $36.99 (three colors). 8. 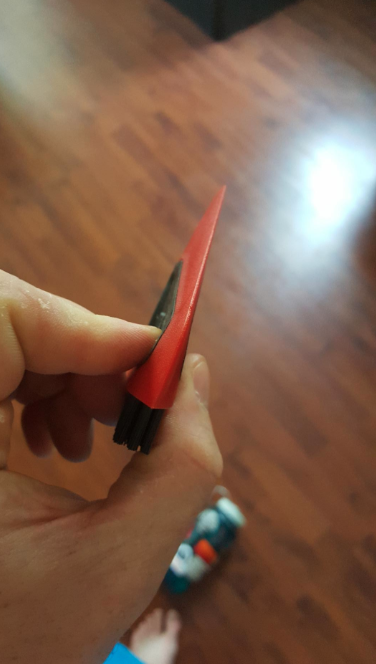 A set of lightweight but heavy-duty aluminum tent stakes sure to put the plastic ones that came with your tent to absolute shame. They're brightly colored and topped with reflective neon cord, so they're easier to spot in long grass. Promising review: "These things are AWESOME! 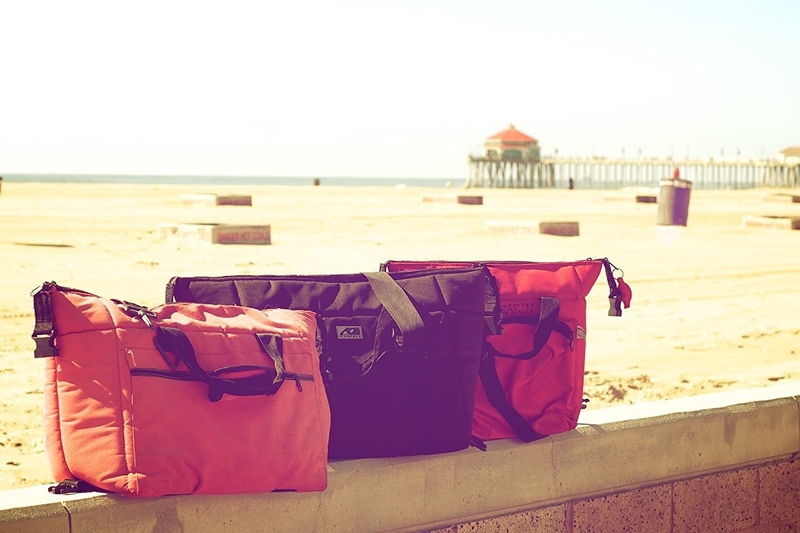 They're lightweight for all you backpackers out there, but they also hold exceptionally well. I was camping in Hatteras a few months back, and these things really held well in the sand of the campground there. 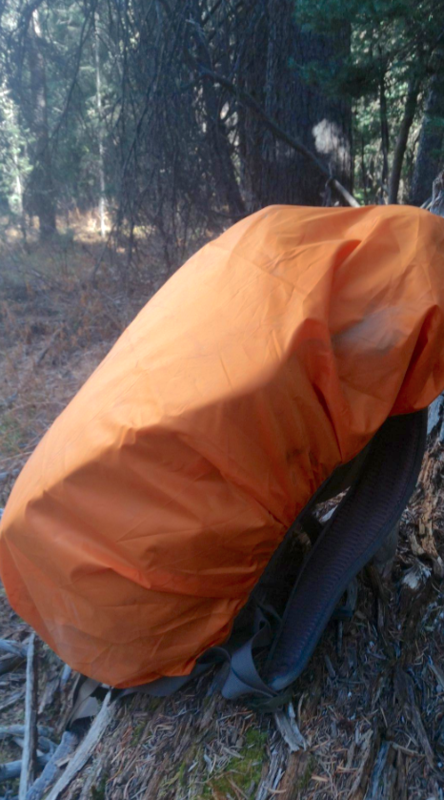 Even when 30-40 mile an hour gusts from a late season thunderstorm rolled in, all of my staked-down tent parts held firm. I especially appreciated the easily-seen-in-the-dark pull cords that let me quickly pull up my tent at 3 AM when I decided to ride out the storm on a drive to my next destination instead of in the tent in open ground. 9. And a cozy two-to-four-person tent — it pitches in no time so you can get out and start hiking ASAP, if you don't have tent that you love yet. Get it on Amazon for $60.27. 10. Or a two-person truck-bed tent that you could basically leave up all camping-season long so escaping to your favorite campsite every weekend's easier than ever. Promising review: "I have a 2018 Silverado 1500 Crew Cab. First time I took it out, it rained, sleeted and snowed all day and night. It took me about 30 minutes to set up that first time. I had a little space heater with me and despite being in the 20’s, the tent heated to over 70 degrees in about 10 minutes! And, most importantly, I stayed dry all night! Was also very impressed with the amount of room in this tent. I’m 6’ tall and had more than enough room for my gear. Get it on Amazon for $79.99. 11. 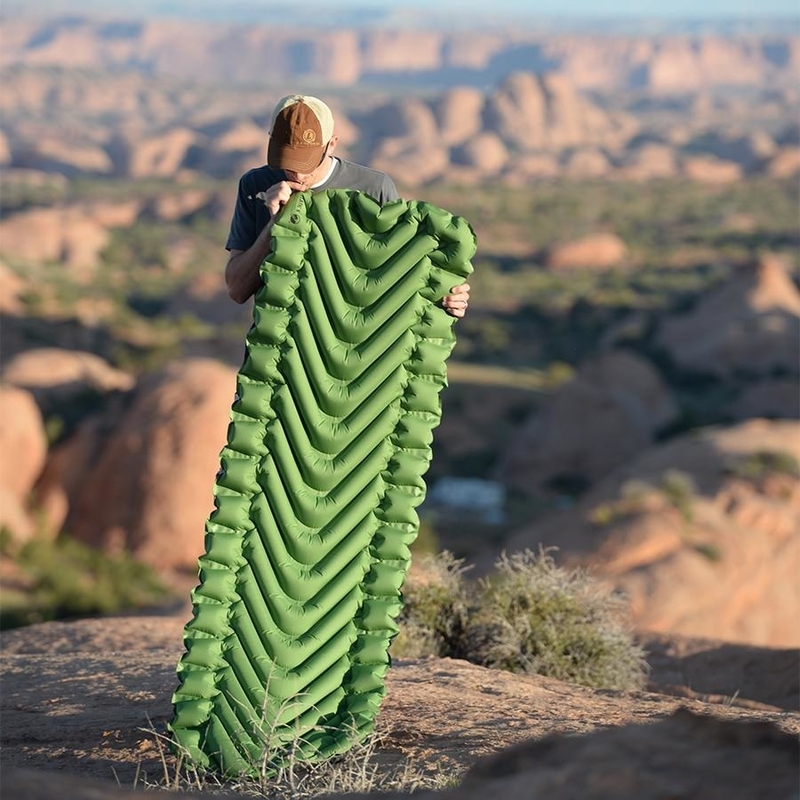 An easy-to-inflate sleeping pad to make any type of ground feel like a luxury pillow top mattress. Well, maybe not quite that nice, but definitely more comfortable than it would've been. Promising review: "Where has this thing been all my life? I took it on a four day excursion and never slept better. Once inflated (takes me 9-12 breaths), I can't MAKE any part of my body touch the ground when laying down on it (I'm about 185 lbs). 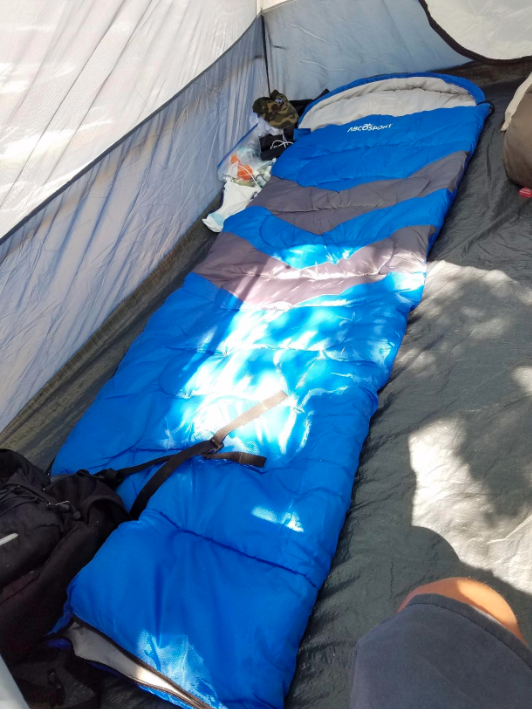 My back is ALWAYS pretty sore and usually keeps me from sleeping as long as I'd like when camping, but I got a good 8-10 hours of sleep a night with this thing. I've NEVER been able to do that tent camping. 9-12 breaths of inflation is definitely worth the enhanced comfort and convenience. Get it on Amazon for $54.93+ (5 colors available). 12. 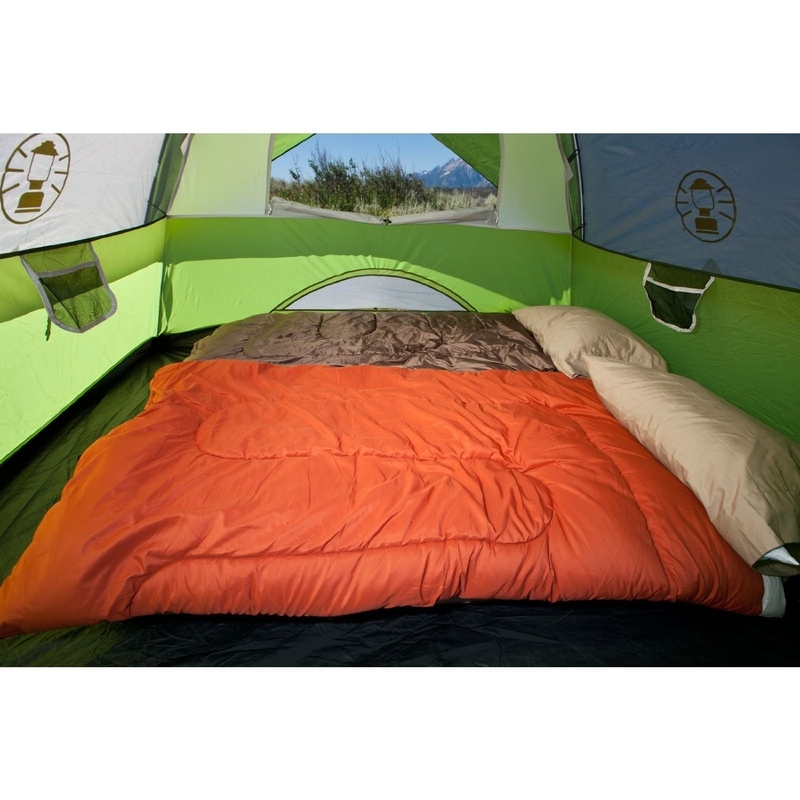 Or a full-fledged, self-inflating air mattress that you can even fit with a spare set of sheets and a comforter instead of a sleeping bag, if you're more of the ~glamping~ type. Which: no shame! 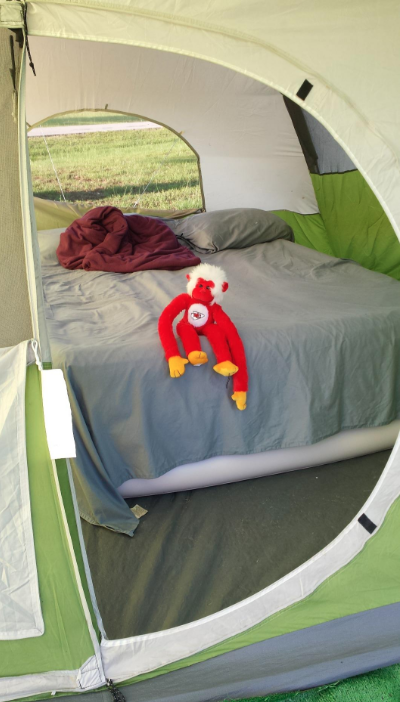 You make your tent as a fancy as you like, especially if you're driving up to your campsite or are near somewhere with a wall plug — because you will need that to inflate it. Get it on Amazon for $119.95. No wall plug? 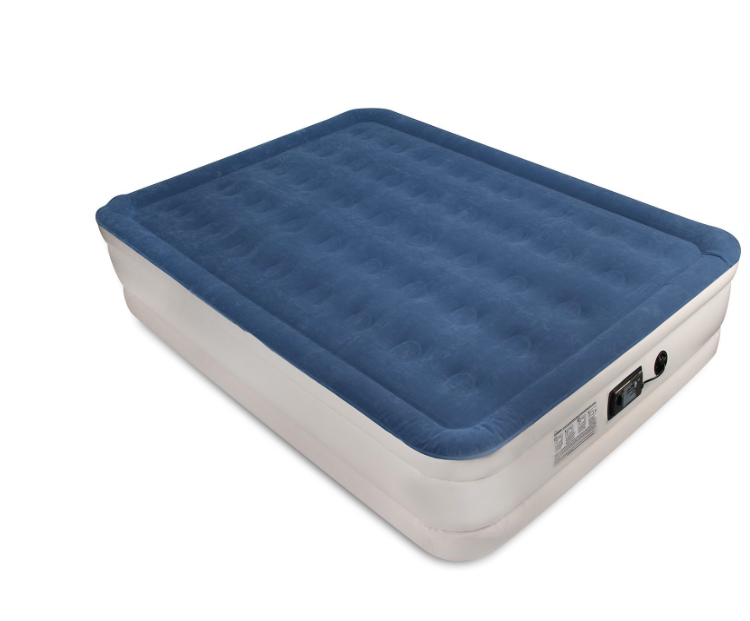 Get a self-inflating air mattress that uses a battery-powered pump for $127.49. 13. 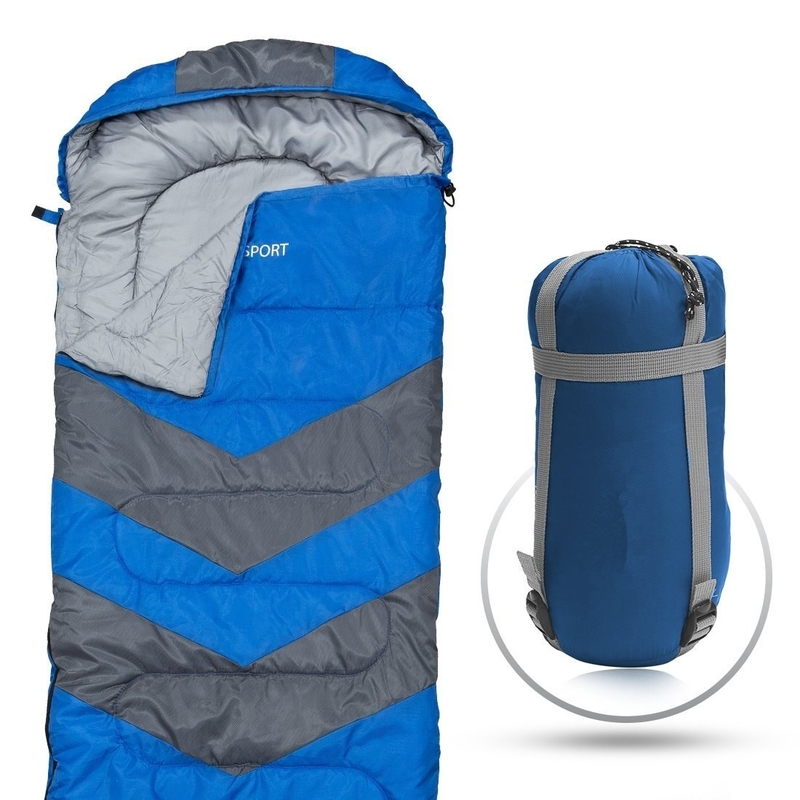 A basic sleeping bag — it'll keep you warm as long as it isn't literally freezing outside, then pack down into a small (ish) little pouch for storage. Get it on Amazon for $38.97. 14. 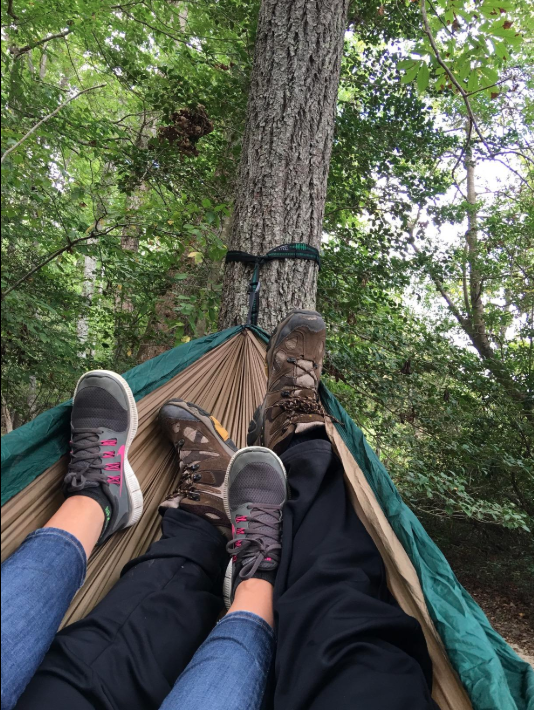 A double hammock made of lightweight nylon ideal for peaceful afternoons reading under the trees and gentle nights sleeping under the stars. It also comes with all the stuff you need to hang it up easily (not all the hammocks on Amazon do). Get it on Amazon for $22.99-26.99, depending on which of the 18 colors you choose. 15. 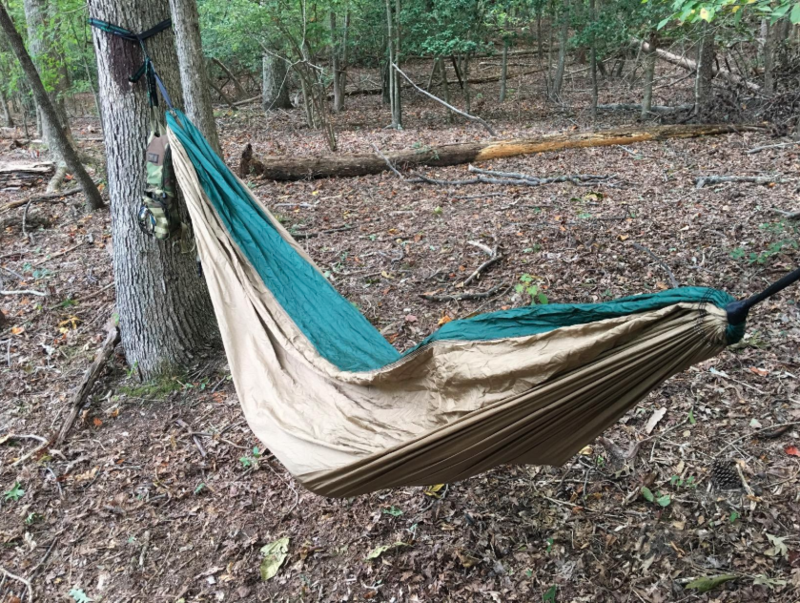 And a simple, easy-to-set-up hammock tarp that'll keep you dry no matter how hard the rain pours down. Get it on Amazon for $29.47. If you're looking for an upgrade, the Kelty Noah 12 the reviewer mentioned has great reviews, too, and more configuration options: it's on Amazon for $51.95. 16. A compact microfiber towel to dry you off faster than you can say "quick dip in the lake". Get it on Amazon for $12.99-$19.99 (three sizes available in 10 color combos). 17. 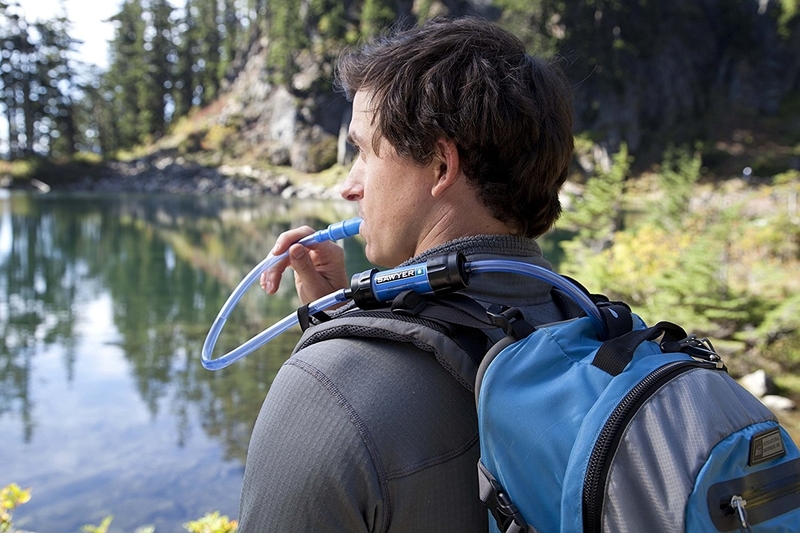 A personal water filtration system that you can rig up with your CamelBak so you never worry about carrying enough water on a hike through the woods ever again. 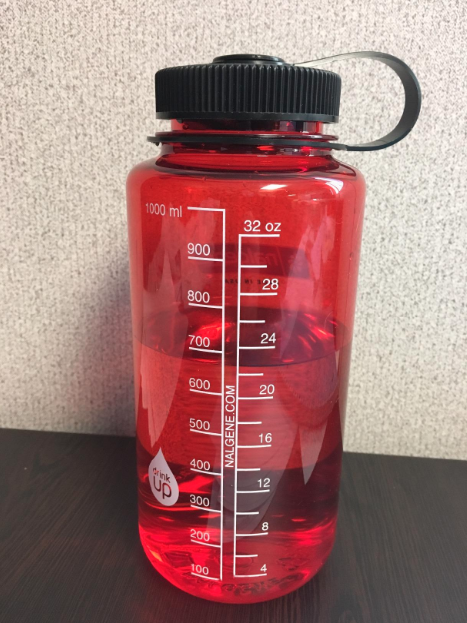 As long as you know you'll pass a lake or river, that is — desert hikers, please still pack plenty of water! "I immediately took it out for a day hike with the dog to give it a test in the field, near the Rattlesnake Creek in Missoula. Filling it was easy with the current, then I screwed the filter onto the bag, tipped it upside down, and water came out with a very effortless squeeze. After I got done laughing about how simple it was, I gave my boy Yoshi a drink as well (my English Bulldog). He also took to it well, as he's a big fan of drinking from water bottles anyway. So yeah, this is a dog friendly design! Get it on Amazon for $20.03. 18. 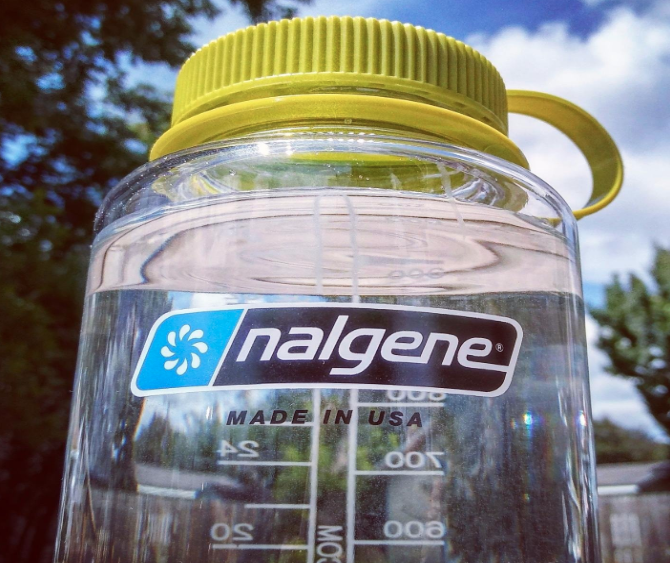 The classic, durable AF, BPA-free, quart-size Nalgene water bottle — it really needs no introduction. You can basically drop them down the side of a cliff and they'll stay perfectly intact. Get one on Amazon for $10.95+ (70 color and design options available at varying prices). 19. 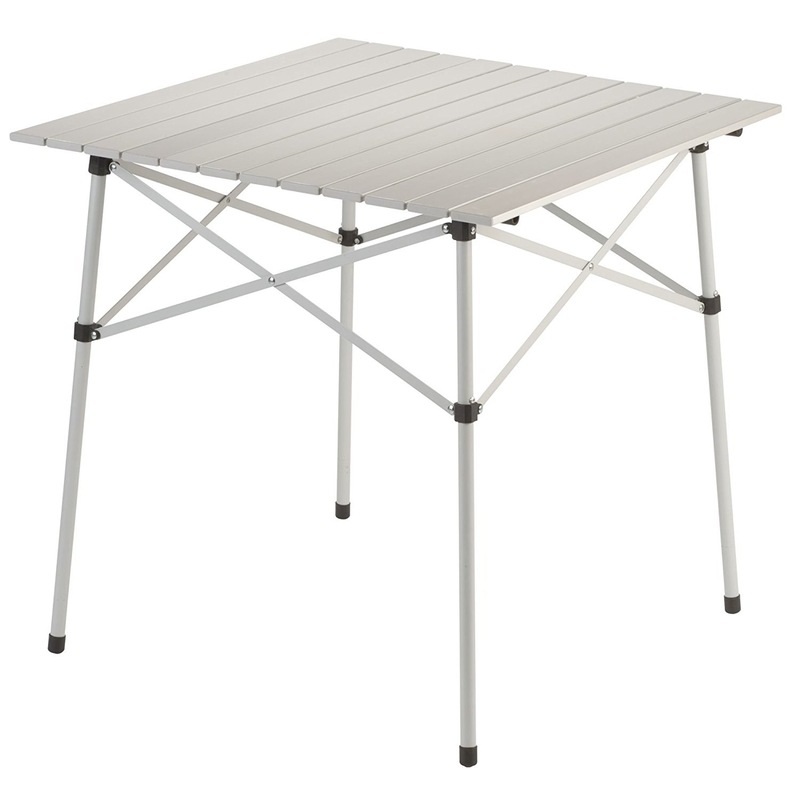 A lightweight aluminum folding table that can go from meal prep area to dinner table to evening poker table without batting an eye. I mean...if tables had eyes? It also packs away into a handy carrying bag. Get it on Amazon for $34.42. 20. 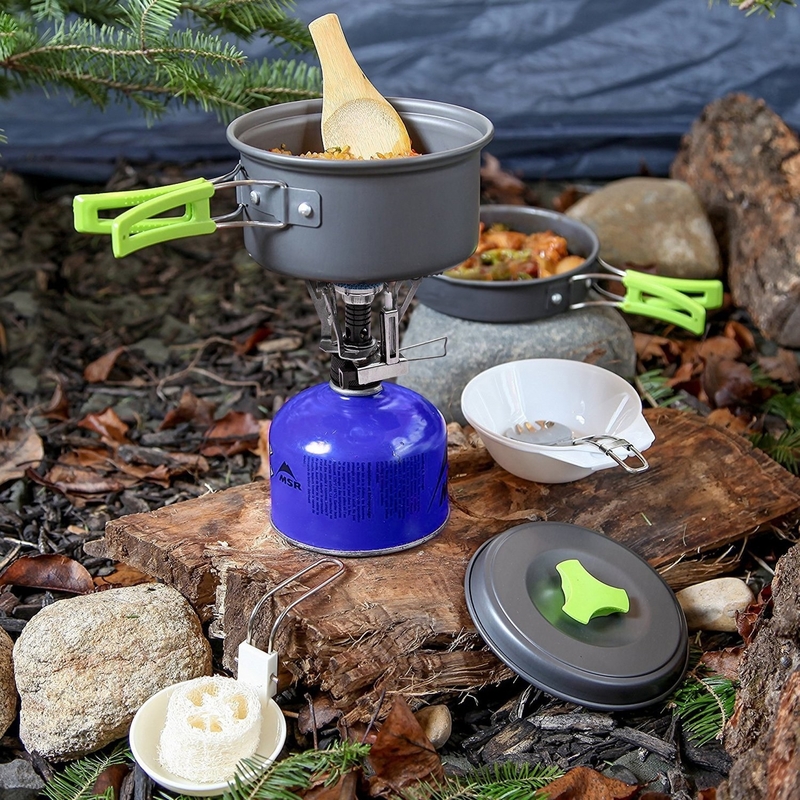 A combo mess kit and cooking set to heat up simple meals for one or two people. Promising review: "I am a retired US Army NCO who is more than 70 years old, lives in New Mexico and loves to hike and camp. At my age, I'm always on the lookout for good lightweight kit, and my experience with this little kit was very good. 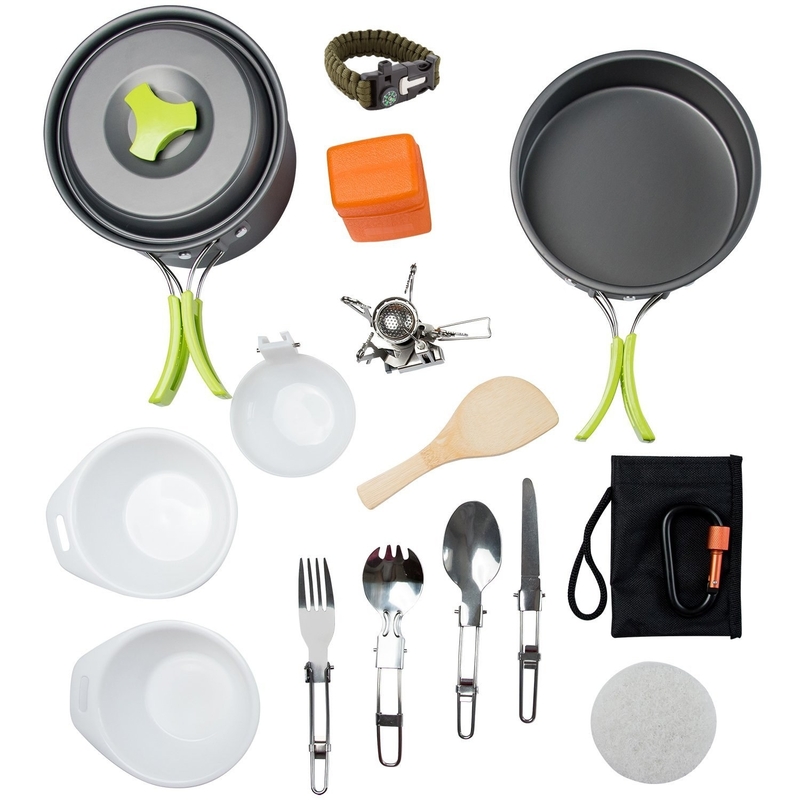 The kit comes with a nesting fry pan and sauce pan, a terrific little carved bamboo stir spoon, a couple of plastic bowls/cups, a folding ladle, a sauce pan cover, and a nifty little metal folding spork. In addition to all of this, it has a nice cloth sack with a plastic closure that holds the kit snugly together in my ruck sack. I washed it all up and stuffed in an extra pair of socks and a couple of bandana handkerchiefs so it didn't rattle (an old army habit). Get it on Amazon for $25.49. 21. A full-fledged propane camp stove/oven range so you can eat incredible cinnamon rolls while gazing at incredible views, with none of the stress of campfire cooking. Promising review: "This thing is the BEST! Maybe the greatest camping purchase ever. I bought it and immediately brought it to a campground/festival we were at for 8 days of no-hookup camping in Maine, and it was the bomb. 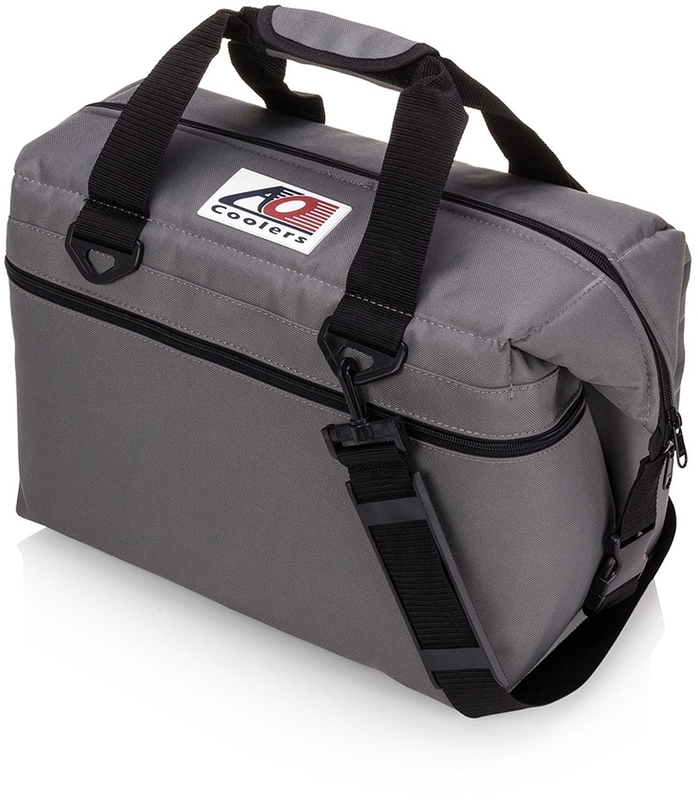 Get it on Amazon for $189.99 (and a carrying bag for $44.99). You can also get just the two-burner stove, which is also very highly reviewed, for $77.44. 22. 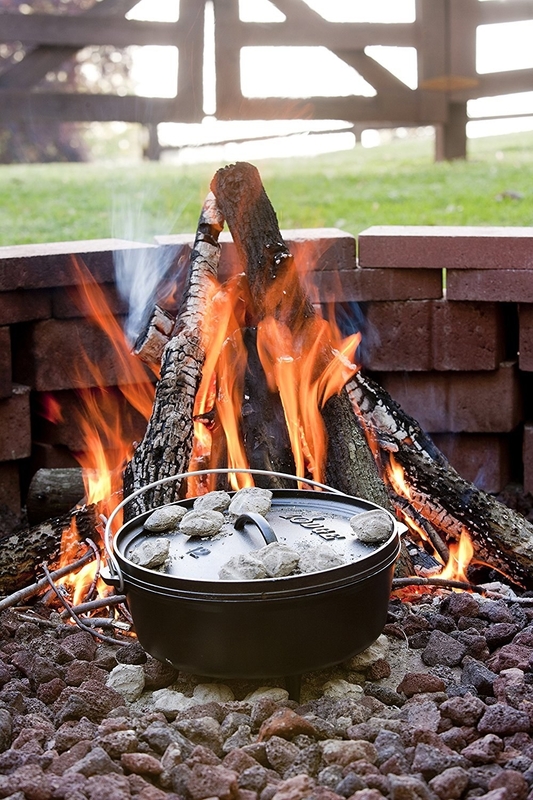 But if you do want to try campfire cooking, a classic flat-top, cast-iron dutch oven's one of the easiest ways to get started making meals like you're on the Oregon Trail. Promising review: I don't own any Lodge cast iron that I don't LOVE! This was no exception. "Camp fire cooking creates some of the best flavors. If you've never tried it, DO IT. If you aren't sure how to cook with one of these, there are plenty of web sites with information and how many coals to use under and on top to regulate your cooking temperature. I most commonly make beans in mine, however, I am eyeing some recipes for other pot dinners and meats. Plus, Lodge is one of the few cast iron companies that actually ship a pre-seasoned product." —Warren P.
Get it on Amazon for $47.48+ (available in 3 sizes). You might also want to consider a lid lifter ($8.06 on Amazon) and/or a lid stand ($13 on Amazon), to make opening and moving the pot around a bit easier. 23. 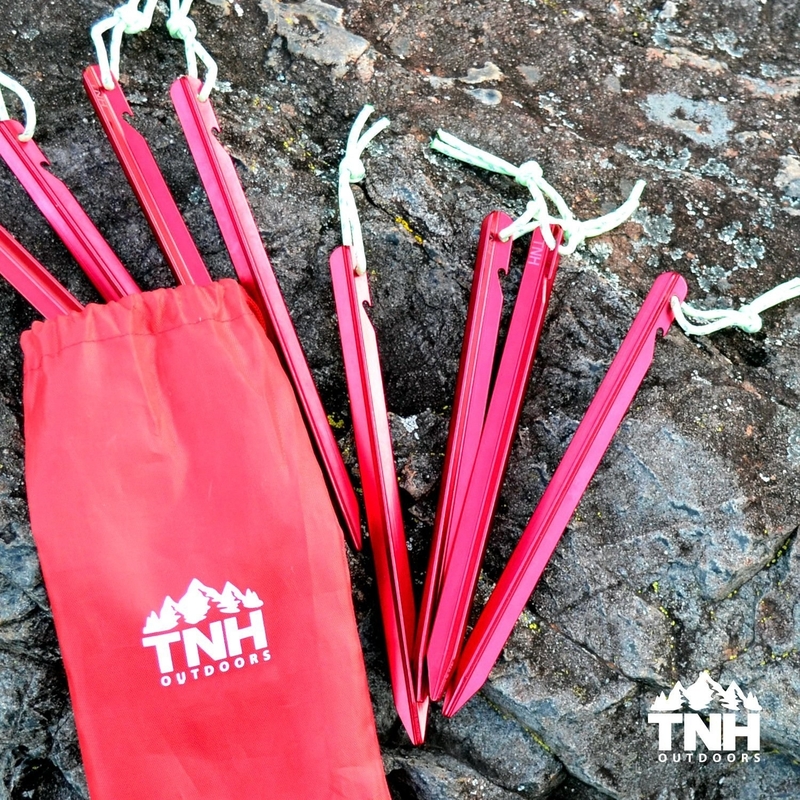 A mini dishes tool that makes cleaning up even the grimiest cooking pot a breeze, especially if you're backpacking. Promising review: "An excellent product that fills a niche you didn't even really know you had until you add it to your bag. I hate dishes as much as the next guy and its frustrating to try to keep stuff clean with a dirty rag or something. I keep this with my jetboil and no longer worry about cooking messy things in the pot since this works so well, and doesn't really get gross or take up space like a regular dish brush or scour pad. 24. 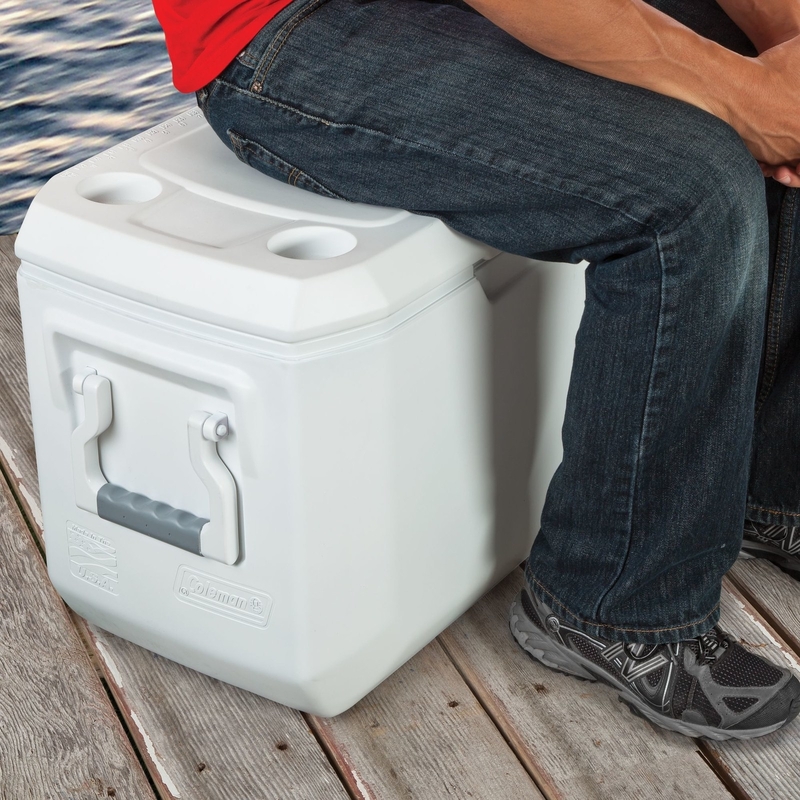 A huge 120-quart cooler — it basically has superpowers, because it can keep ice from melting even while it sits in the direct sun day after day. Get it on Amazon for $63.84. 25. 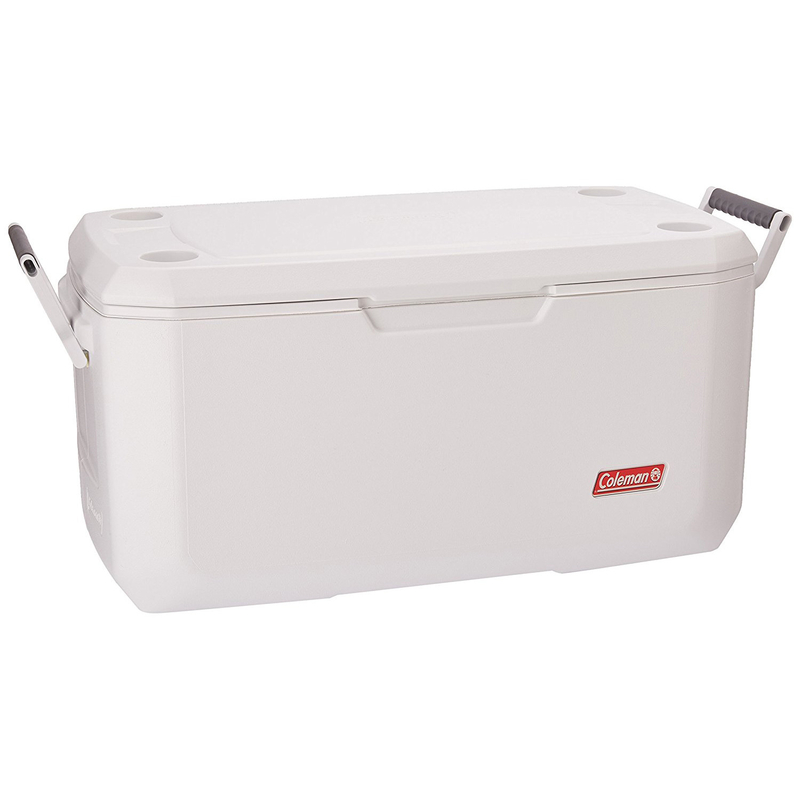 Or a smaller soft cooler that'll keep everything chill AF for a weekend in the woods. It all depends on how many people you're feeding, of course! Get it on Amazon for $44.97+ (four sizes available in six colors). 26. A mini utility tool to fit right on your keychain. 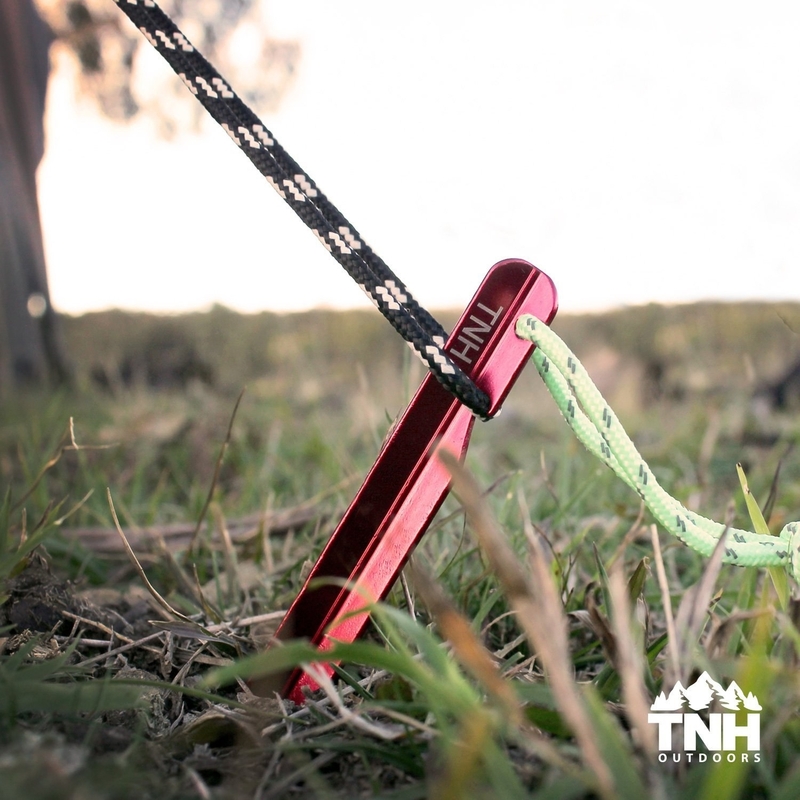 It can tackle any loose screws, stubborn sticks, or unopened bottles that cross your path — whether you're at a campsite or not! Remember to leave it at home if you get on an airplane, though! 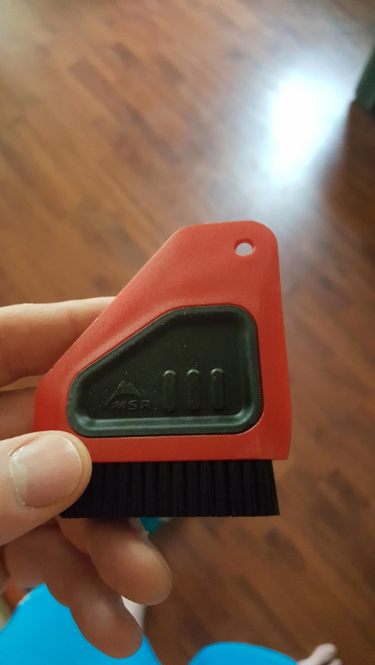 Promising review: "I love having this on my keychain! 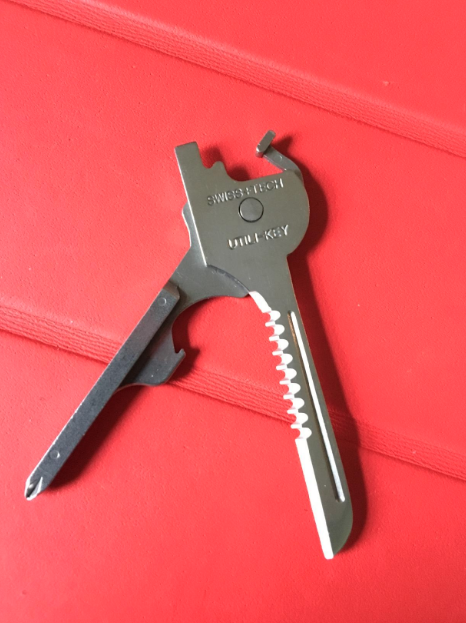 I often find myself needing and a small screwdriver for various quick repairs at home and at my office and this tool fit the bill. I even made use of it several times on a camping trip where we had forgotten to bring tools to assemble a small grill. 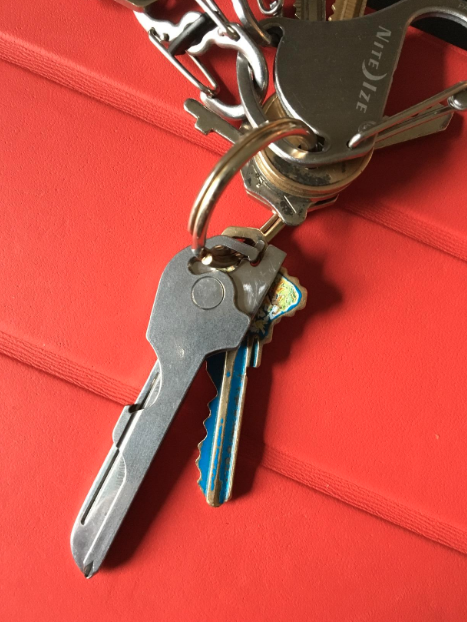 The only minor downside of this product is it can be a little bit difficult to open at times, but then again its good to know its secure to your keyring and won't accidentally come off. The tool's slim but solid and blends in nicely with the rest of my keys, despite being longer than a standard key. Overall an incredibly useful and versatile product and all for less than $10!" —Jon E.
Get it on Amazon for $9.92. 27. A magnesium fire starter that'll work in any weather and take up almost no space in your camping gear, just in case (or just for fun). Promising review: "I don't normally use a firestarter, opting instead to include a fresh Bic in my bag in case the normal one I use runs out of fluid when needed. I purchased this more out of curiosity than anything as I haven't used one since I was in the Scouts. 28. Insect repellent made with Picaridin instead of DEET, which means it works to repel biting flies as well as mosquitos — as well as ticks, chiggers, and gnats. Learn more about the differences between different repellents here and here. You can buy it in sixteen different sizes and applications, like two bottles of spray for $14.22 (that's $7.11 each).